CALLING ALL ECOHEROES! 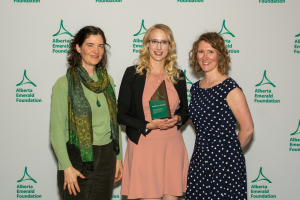 ALBERTA’S EMERALD AWARDS NOMINATIONS NOW OPEN. Posted November 1, 2017 by Alberta Emerald Foundation in Emerald Awards, News Release. 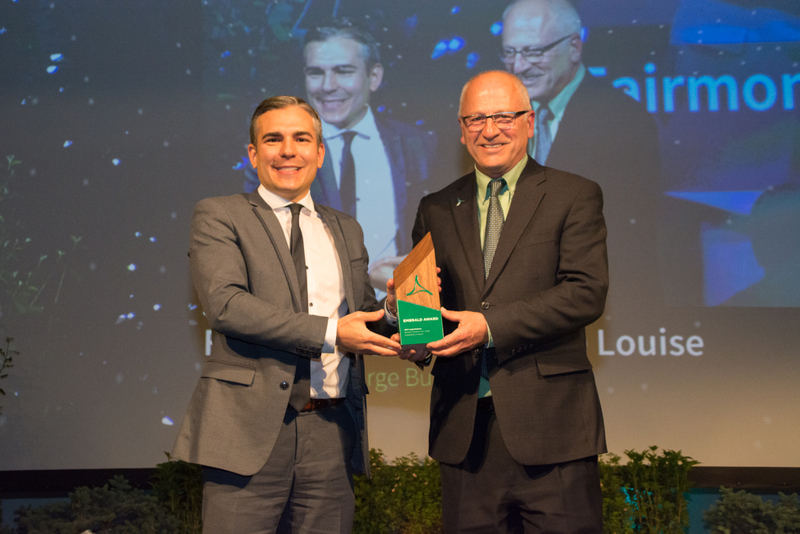 Mortimer Capriles (left) receives 26th Annual Emerald in the Large Business category for Fairmont Chateau Lake Louise’s Sustainability Program. David Dodge (right) from Emerald Award-winning Green Energy Futures, presents the Emerald. 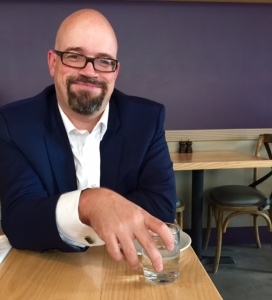 EDMONTON, ALBERTA – For more than a quarter-century, the Emerald Awards have recognized and celebrated the outstanding environmental achievements of large and small businesses, individuals, not-for-profit organizations, community groups, youth, and governments in our province.